Online Shop specialised about outdoor gear: hiking and mountain equipement. We are based in Grenoble, capital of french alps. Our job is to ship your order in Europe and world. His name is indissiocable from Nordic Backcountry Skiing and Pulk. 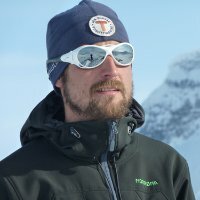 Creator of www.skirandonnenordique.com, the french website of nordic backcountry skiing. At the present time, he strives hard to develop the nordic touring skis in France. He has accomplished a countless number of raids and expeditions by ski in the nordic and Scandinavian countries. He is fond of long distance crossings. For questions, contact us. We will respond quickly to your questions.